Laughter is as essential for us as breathing is. The life becomes a big boredom without humor. Whatever be the merits of today’s busy and hectic life, it certainly has taken away laughter from our lives. Mental breakdowns we see around are proofs of it. A good laugh has great long-term effects. If you start to laugh, it does not only relieve you mentally, it actually induces physical changes in your body. Laughter can stimulate many organs. Laughter improves the intake of oxygen-rich air, stimulates your heart, lungs, and muscles and increases the endorphins that are released by your brain. Laughter can also stimulate circulation and aid muscle relaxation, both of which help to reduce some of the physical symptoms of stress. Laughter may ease the pain by causing the body to produce its own natural painkillers. Laughter may also break the pain-spasm cycle common to some muscle disorders and Increase personal satisfaction. Laughter can also make it easier to cope with difficult situations. It also helps you connect with other people. Many people experience depression, sometimes due to chronic illnesses. Laughter can help lessen your depression and anxiety and make you feel happier. This ‘Jokes E-book’ of ours is an effort to dissolve your tensions in a solution of smiles, chuckles, and laughter. This ‘Jokes E-book’ of ours is an effort to dissolve your tensions in a solution of smiles, chuckles, and laughter. We earnestly believe that our collections of hilarious jokes will displace your worries and gloom with lots of Ha-Ha. 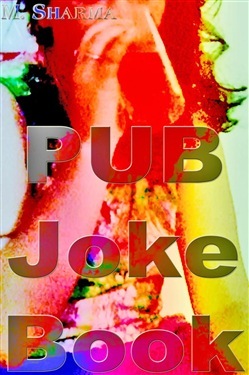 Acquista Pub Joke Book in Epub: dopo aver letto l’ebook Pub Joke Book di M. sharma ti invitiamo a lasciarci una Recensione qui sotto: sarà utile agli utenti che non abbiano ancora letto questo libro e che vogliano avere delle opinioni altrui. L’opinione su di un libro è molto soggettiva e per questo leggere eventuali recensioni negative non ci dovrà frenare dall’acquisto, anzi dovrà spingerci ad acquistare il libro in fretta per poter dire la nostra ed eventualmente smentire quanto commentato da altri, contribuendo ad arricchire più possibile i commenti e dare sempre più spunti di confronto al pubblico online.